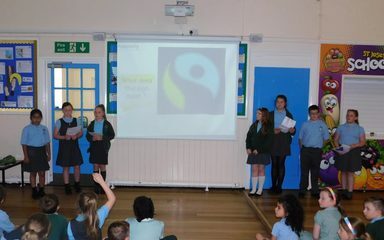 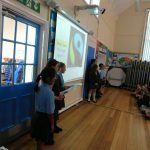 The Mini Vinnies, Fairtrade School Shop staff and School Councillors all worked together this week to present a timely reminder about why our school thinks it is important to promote and support the Fairtrade message. 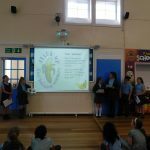 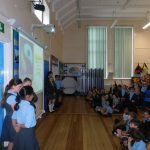 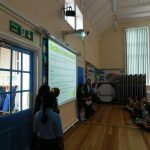 The assembly they led focused on the World Cup and how one of the many products produced under the Fairtrade banner is actually footballs. 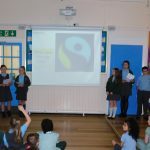 Having reminder everyone of the principles of Fairtrade, they then showed a short film which told the story of the Fairtrade Football after which we voted as a school to use only Fairtrade footballs in our school matches from September.